North Korea has challenged the entire US Congress to come and inspect a bio-tech institute in Pyongyang that US experts have suggested is a facility for mass-producing anthrax for the military. A spokesman for the powerful National Defence Commission angrily stressed that the facility in Pyongyang was solely dedicated to the manufacture of pesticides, after a report published last week on the website of the US-Korea Institute at Johns Hopkins University suggested otherwise. "A thousand pairs of ears cannot match a pair of eyes," the spokesman said, accusing the US government of spreading wild rumours about the North's biological weapons programme. "Come here right now, with all the 535 members of the House of Representatives and the Senate as well as the imbecile secretaries and deputy secretaries of the government who have made their voices hoarse screaming for new sanctions," the spokesman said. 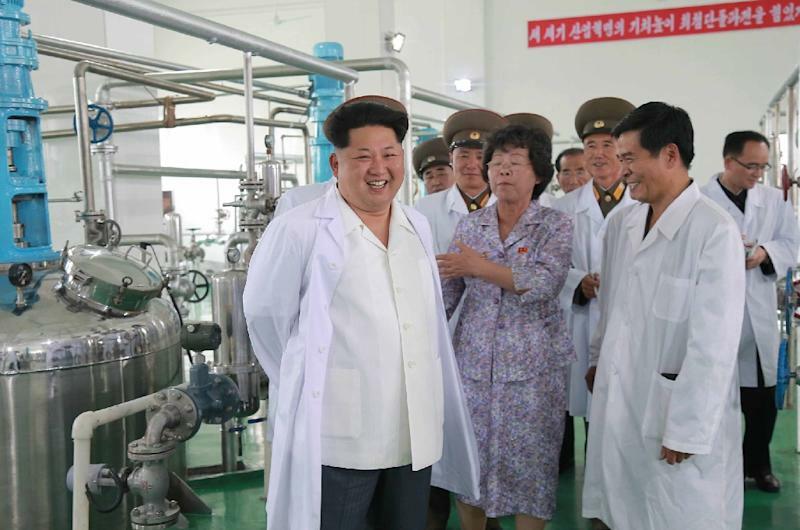 "Then they can behold the awe-inspiring sight of the Pyongyang Bio-technical Institute," he added. The spokesman's remarks, carried by the North's official KCNA news agency on Monday, were not included in the English-language version of the same report. North Korean leader Kim Jong-Un inspected the institute last week, and pictures of his visit published by state media were analysed by Mellisa Hanham, a senior researcher at the Center for Nonproliferation Studies in Washington. Hanham said the photographs showed Pyongyang had been importing dual-use equipment. "It is hard to avoid the conclusion that the institute is intended to produce military-size batches of anthrax," she said. "The bottom line is that regardless of whether the equipment is being used to produce anthrax today, it could in the near future." The Defence Commission dismissed the allegations as another example of the United States' "hysteric rage" and its repeated efforts to "tarnish the sublime image" of the country. According to North Korean defectors and assessments by the US and South Korean governments, Pyongyang began to acquire a biological weapons capability as early as the 1960s under the orders of then leader Kim Il Sung. In a 2012 white paper, the South Korean defence ministry estimated that the North was able to indigenously produce a number of biological agents, including anthrax and smallpox.